The Wonder Woman film is still nearly a year away from being released, but there’s already a lot riding on it. The amount of pressure on the solo movies in the DC movieverse to set up the franchise is so high that we would’t be shocked if Diana herself couldn’t hold it up. And if an open letter from an alleged ex-Warner Bros. employee is any indication, the new film could be in trouble too. The whole essay is a criticism of the studio and its refusal to learn from mistake. At the end of the letter, posted on Pajiba, the former employee states that inside sources are confirming that “it’s another mess,” although they don’t go into details as to why. Additionally, we’re glad that Jenkins has picked up the appropriate lingo for such a statement. We’re on Jenkins side here. 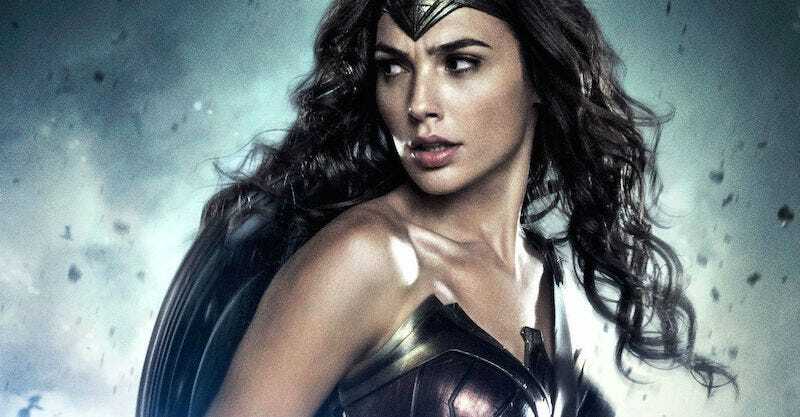 We want the film to be good too, but only time will tell if the Wonder Woman film can “save the DC universe” after the critical disappointments that were Batman v Superman: Dawn of Justice and Suicide Squad. We want it to be good so badly, especially since the trailer looks amazing (even if the author of the letter agrees, adding that the studio is hiding behind it), but we’ve been rattled by how terrible the other films have been. If you loved these films, more power to you. We thought Suicide Squad was garbage and that looked like it could be better than Dawn of Justice due to its amazing trailers. We just don’t want history to repeat itself when it comes to freaking Wonder Woman. It’s the first time this legendary hero has led a feature film and we want it to prosper. Wonder Woman is set to hit theaters June 2, 2017.